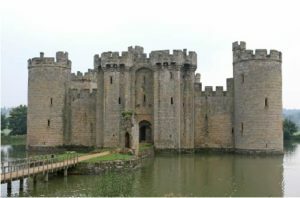 Using a VPN to secure your network perimeter is like digging a moat around a castle. What used to be a solid, default approach to security has now become ancient history. A constantly observed use-case in today’s IT landscape involves the need for network connectivity between your main site of operations and multiple, remote sites and users. A hub and spoke VPN is certainly an intuitive way of approaching this task, but in an industry that changes daily, does it really make sense to assume a technology over 2 decades old is the optimal, secure approach to protect your company’s most valuable assets? The complexity of today’s IT infrastructures with their many branch offices, partners and remote users demand a solution that was made specifically for them. Join DH2i’s Connor Cox on Wednesday, May 1st at 2pm ET for a webinar on a new Software Defined Perimeter solution that can initiate your company’s path to zero trust security.